I know, aren't the children only three? Are you really doing conferences for three-year-olds? Well, the answer is yes. We like to keep our parents as happy as our children, so we have a conference to let parents know how well the children are coming along. The conferences are at the end of this month, so I have started all that fun "assessment" stuff. Thankfully the children just think we're playing different kinds of games all day. I have everything set up sort of station like and we go to each station and check the skill. 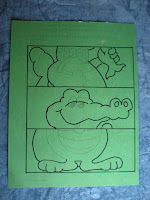 To the children we are playing name find, count to ten, which body part, what's the color, name the shape, and cutting to put Ally the Alligator back together. I have to tell you I was extremely impressed with their cutting skills. Remember a few month ago when they couldn't cut on a line. Wait until you see their cutting pictures. I only had to help one child. I will actually post the pictures in the next post. In case there are any teachers out there looking for some assessment tools, I thought I would post my conference form and assessment sheet in case you might find it helpful. It's pretty general, but something tangible for parents to have in hand. My assessment sheet mostly helps me keep notes. 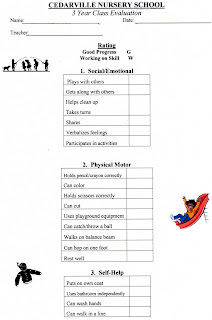 I give these sheets to the parents at conference time so that they can see the actual results. 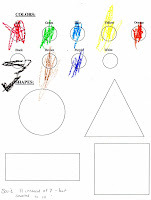 I have the children color in the circles to show coloring progress, along with checking for crayon grip. The shapes are there for me to write in the names they called them if different from the correct one. I also jot down hand preference, cutting ease, counting to 10 with 1 to 1 correspondence, and any other information I think might be helpful. My final task is to sit down and fill out a conference form for each child. Again, it is very general, and I always make sure I add some comments about the uniqueness the child brings to the class. Conference day usually consists of going over the form, checking out the progress of our "Me Books", discussing upcoming events, and if need be, discussing areas of progress that need special attention. I'm usually "toast" at the end of this day. So if I don't post on 3/24 you'll know why. Thank you for posting the forms. 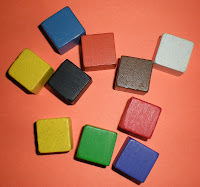 We can use them for assessmemt and evalution for our homeschooing. My oldest child is a special needs child and has some delays. I will be using these for him in addition to using them for my toddler. You look like you are going to be pretty busy evaluating your kiddos and meeting with the parents. 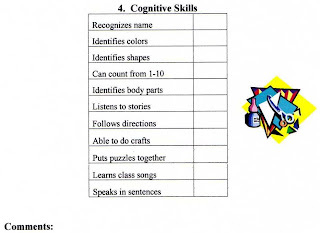 It is wonderful that you give them so much information to help them see their child's strengths and areas where they need to grow as learners! Thanks for sharing these. 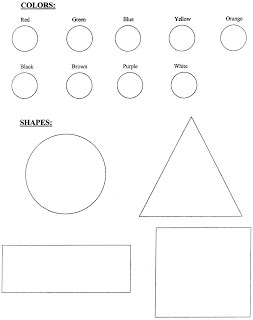 I have to use Ga. Pre-K forms this year, but I always struggled to find just the "right forms" for assessment when I taught private pre-K. I know many people will find these very useful! Thank you for posting the evaluation forms. I was looking for this information to share with my director. 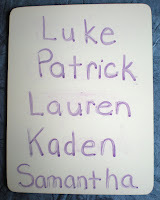 We have the children recognize the alphabet and the sound of the letters. 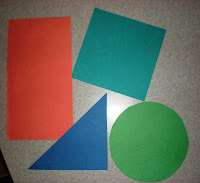 (A-R) Recognize number 1-12, the shapes, and colors. 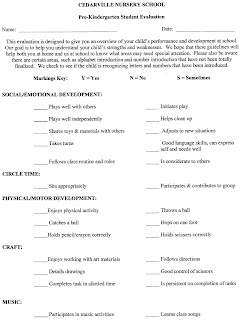 And some of the basic that you have mention in your evaluation form. Thank you for sharing this. We have moved to complete narratives which include photos. I am always looking for a great checklist but couldn't find something I liked. I'm teaching a multi-aged Pre-K class (two of the kids will be turning 4 next month, some will be going into Kindergarten next year) so I've been struggling with a concise form to help me assess both ages. I'm TOTALLY stealing your checklists! Thanks.